but not so busy that I haven't snapping pictures here and there. 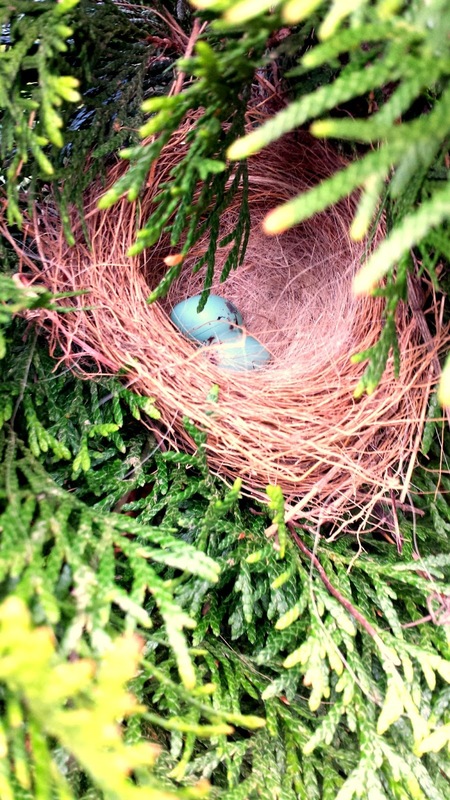 I found this little nest in one of our shrubs. So pretty! A couple weeks ago we visited Jung Garden Center in Madison. I absolutely love this store. 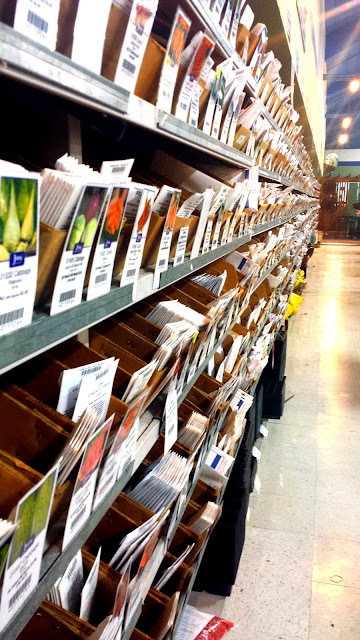 The selection of seeds and plants is amazing! I found this little "egg" in the yard a couple weeks ago. We were both puzzled as to what it was. After some research, I found what I believe to be the answer. 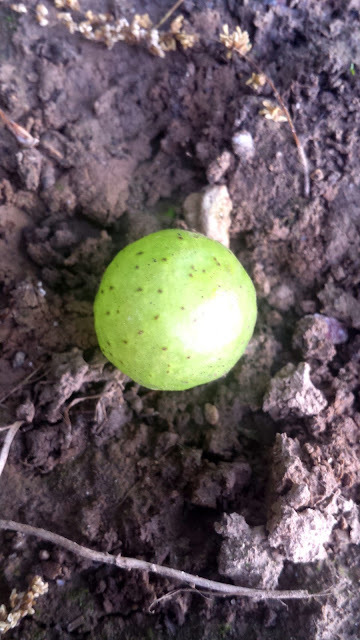 It's an Oak Apple Wasp Gall. 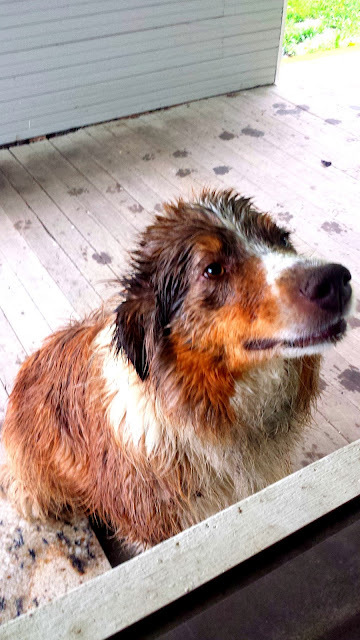 All the rain is leaving us with a very damp dog! 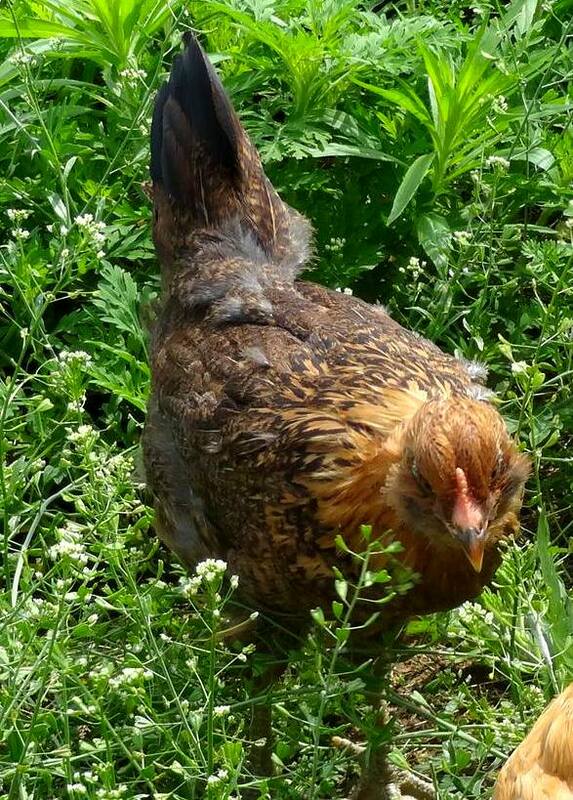 Our little chicks are growing up. Another couple months, and I should be bringing them home! 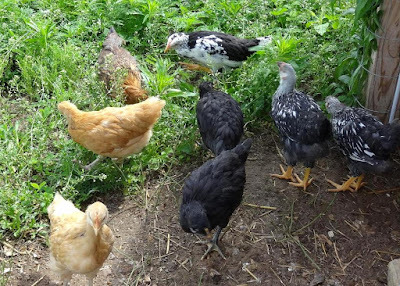 They are finally getting used to going outside! I am jealous of you visiting Jungs ;-) Was this your first visit? That little nest is so pretty. Are these robin eggs? That is their particular shade of blue, I think.